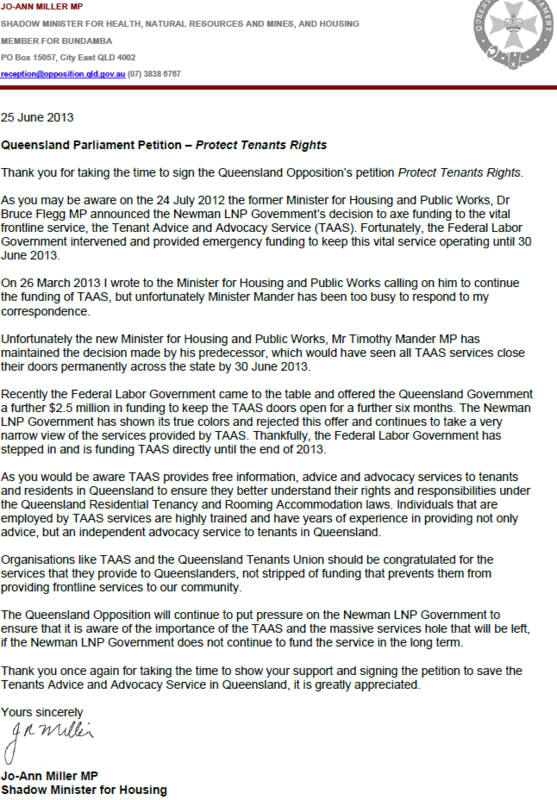 This entry was posted in Announcements and tagged qldpol, savetaas by Lead Organiser. Bookmark the permalink. The tenent needs all the protection he can get.